From Gettysburg Good to Gettysburg Great: The Life and Legacy of Gettysburg College President Emeritus Gordon Haaland | The Gettysburgian. Gettysburg College President Emeritus Gordon Haaland died Monday at age 77 due to complications related to a prolonged illness. Haaland served as President of Gettysburg College from 1990 until 2004. After earning his undergraduate degree at Wheaton College, his doctorate at the State University of New York (SUNY) in Buffalo, and served on the faculties of the University of New Hampshire (UNH) and University of Bergen in Norway, Haaland entered college administration as Dean of the College of Arts and Sciences at the University of Maine, Orono and then served Vice President of Academic Affairs at UNH before becoming its president, a role he held from 1983 until 1990. He came to Gettysburg as its 12th president in 1990 and retired in 2004 after 14 years of service and assumed the title of President Emeritus. During his tenure as president, Haaland helped launch Gettysburg College onto U.S. News and World Report’s list of the top 50 liberal arts colleges in the country, increased enrollment by roughly 20 percent and completed a $100 million capital campaign (which, at the time, was the largest such campaign in the college’s history). “Much less visible than a new building or the creation of the Conservatory, the [increased enrollment] nonetheless had dramatic effect in enriching the academic program, by creating many new faculty positions that brought new expertise, greater vitality and a larger, more diverse student culture,” said Philosophy Professor Lisa Portmess. Haaland oversaw several facilities improvements during his tenure, including the construction of the Quarry Suites and the Science Center, as well as renovations of Breidenbaugh Hall and a number of residence halls. One residence hall in the Quarry Suites bears his name. In addition to improvement of the facilities at Gettysburg College, Haaland was instrumental in increasing the endowment almost four fold during his tenure as president, and securing the largest gift in the college’s history — $14 million from F. William Sunderman for the establishment of the Sunderman Conservatory of Music. “Gordon Haaland’s strong suit as a leader lay less in rhetorical flourishes than quiet but effective decision making,” said Michael Birkner, Professor of History. In his 14 years at the helm, Haaland was instrumental in making a number of those decisions, including the establishment of new academic chairs, majors, minors, programs and departments, as well as the Common Hour and First-Year Seminar Program. He also played an integral role in helping the Center for Public Service (CPS) to take root on campus. CPS has since earned national recognition for its approach to social justice and community outreach. As faculty and administrators reflect on their time working with Haaland, the conversation keeps coming back to his vision for the institution. “Gordon Haaland was an exceptionally smart, strategic, and visionary leader for the College – yet also very approachable, down-to-earth and laid back,” said Joe Lynch, Executive Director of Alumni Relations. “As our 12th president, he should get tremendous credit for elevating the stature, programs, size, reputation and aesthetics of Gettysburg College. His 14-year run as President was the third-longest tenure of any of our presidents over the previous 100 years, and he had the right skills and temperament to excel in the job for a long period,” Lynch continued. Rod Tosten, Vice President for Information Technology, echoed Lynch’s sentiments, adding that it was Haaland’s vision for the role of technology in learning that that laid the foundation from which the college benefits today. Haaland oversaw the creation of the then innovative CNAV system, the laying of fiber optic cable all over campus and the splitting of the Computer Science department from the Mathematics department to form the separate departments that they are today. “Every piece of technology and innovative spirit that we have today on this campus, we can trace back and attribute to President Haaland’s vision and forward thinking investments,” Tosten said. Vice President for College Life and Dean of Students Julie Ramsey contended that Haaland’s most visionary contributions to the college were the acquisition of the Majestic Theater and his contributions to the pomp of the commencement exercises, which included the addition of the banners and the procession through Pennsylvania Hall. Beyond his vision, the campus community remembers Haaland for his kindness and support. Shirley Anne Warshaw, Harold G. Evans Chair of Eisenhower Leadership Studies and Professor of Political Science, recalled the first time she met Haaland. “My first meeting with Gordon was in 1990, when, as the new Gettysburg president, he presided over convocation, where I was the speaker. I was nervous, as a young professor giving a major speech, but Gordon allayed any concerns I had that I would be just fine. Gordon was always a champion of faculty initiatives, encouraging faculty across disciplines to become leaders in their fields. “It was that constant encouragement and enthusiasm for the faculty that made him so popular and helped to propel the college to a new level. He will be sorely missed by everyone who knew him. He built Gettysburg College into the major academic institution that we have today. 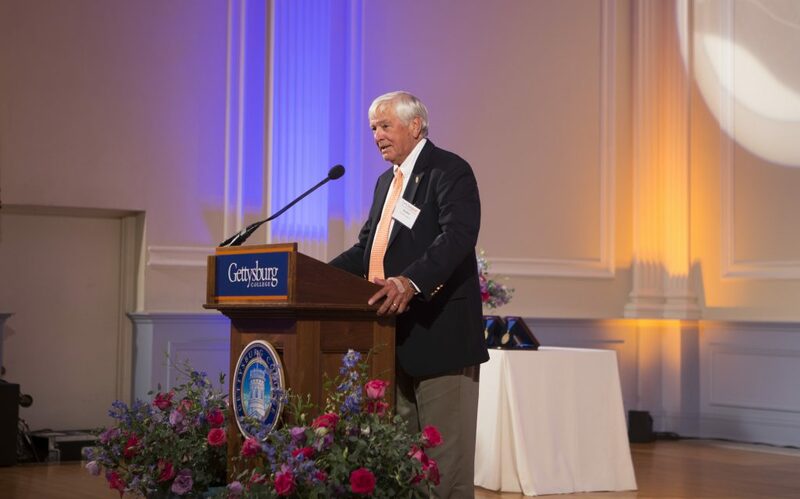 His ability to connect with faculty, students, parents, alumni, and donors made him the leader and friend that the campus will always treasure,” Warshaw said. Lynch suggested that it was Haaland’s warm and supportive nature that formed current President Janet Morgan Riggs into the leader that she is today. Riggs offered her thoughts in a statement released by Gettysburg College. Vice Provost Jack Ryan found a connection to Haaland through two places they both shared connections to — Brooklyn and Binghamton. Haaland was born in Brooklyn, and Ryan was born in Binghamton. Ryan lived in Brooklyn for years, and one of Haaland’s children lived in Binghamton, near Riverside Drive. “He and I would talk about Bay Ridge, and his father’s tugboat work. When we talked about Binghamton, he’d always remind me that his child was involved with an English PhD candidate, adding that the future didn’t seem lucrative. Which didn’t mean that Gordon was money oriented; rather, he was concerned about his child’s future well-being,” Ryan said. Ramsey recalled Haaland’s steady hand and calm temperament, saying that she worked for him for 14 years and never witnessed him angry. As an example of Haaland’s level-headed approach, Lynch recalled that Haaland’s first graduation ceremony in 1990 was the last one that was ever held indoors due to bad weather. After that event, Haaland was determined to ensure an indoor ceremony never happened again. He said Haaland quipped that there’s no such thing as bad weather – just bad clothing choices. 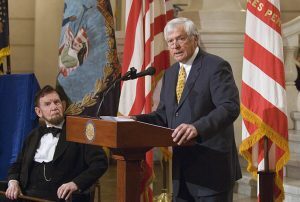 “And I believe that was the same Commencement at which he walked onto the portico of Penn Hall about 15 minutes before Commencement was about to start, looked at the tremendously threatening skies, waved his hand a bit, and said ‘We’ll be fine.’ The skies miraculously cleared just as the academic procession got started and we had a dry Commencement,” Lynch said. 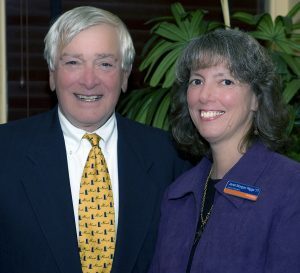 Philosophy Professor Daniel DeNicola, who served as provost from 1996 until 2006, said that it was Haaland’s sailing background that made him such an effective leader. According to the college’s press release, the family has requested that memorials be sent to the Carol and Gordon Haaland Scholarship Fund at Gettysburg College, 300 North Washington St., Gettysburg, PA 17325 or made online. A memorial celebration will be held on Sunday, November 5, at Indian Creek Country Club in Kilmarnock, VA from 1:30 to 3:30 p.m. Other memorial celebrations will be held on future dates in Florida and Maine. A celebration of Dr. Haaland’s life on the Gettysburg College campus is being planned for a later date. 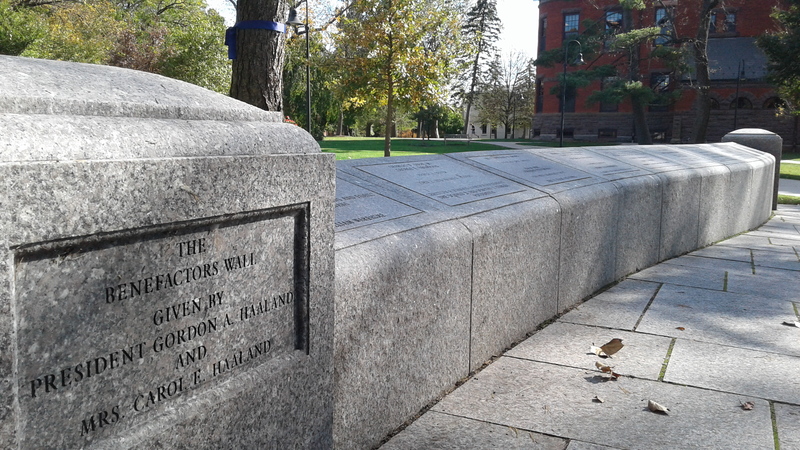 The following timeline of President Emeritus Gordon Haaland’s accomplishments as president of Gettysburg College was taken from the college’s release.